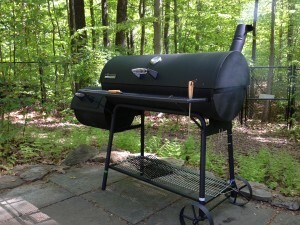 There’s a new workhorse in our backyard and just in time for summer cookouts! My husband bought himself a smoker. 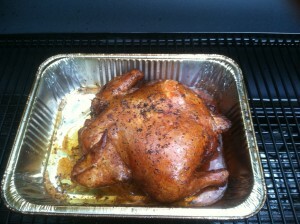 The smoker has been a great addition to our cooking tool set. So far, we’ve smoked a beef brisket and a whole chicken. 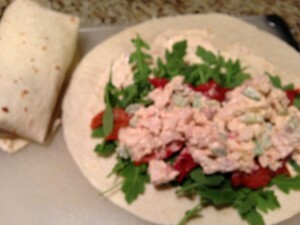 Some of the meat from the whole chicken made an outstanding wrap sandwich the following evening. 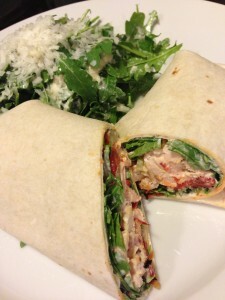 Here’s my take on a Smoky Chicken Wrap with Garlicky Roasted Red Pepper Aioli. In order to create this wrap, I started out with most of a whole chicken that my husband had smoked in his smoker for several hours. 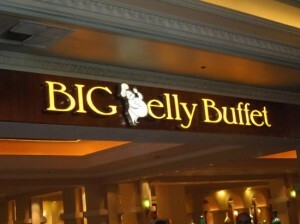 We had already enjoyed the legs and some of the chicken breast in an earlier dinner the night before. Remaining on the bones was about 3/4 of the chicken meat and it was already chilled from spending the night in the refrigerator. 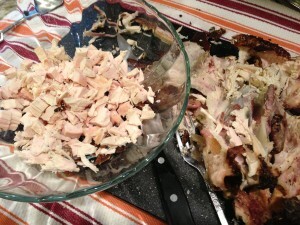 I pulled the chicken from the bones and chopped it up into bite-sized pieces. 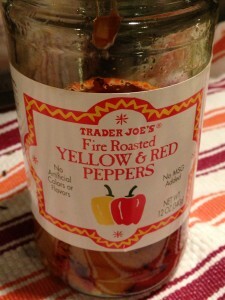 Took some roasted red pepper and mixed it with minced garlic and mayonnaise to make a roasted red pepper aioli. Then mixed most of the aioli with the diced chicken and some celery. Saved some aioli for spreading on the tortillas. Divided the arugula and roasted red pepper between the tortillas. Topped the arugula and roasted red peppers with the smoked chicken salad mixture. Wrapped it up and served! 1. Chop the smoked chicken into 1/2 inch dice. 2. Dice the celery into 1/4 inch pieces. 3. Finely dice ONE of the roasted red peppers and combine with the mayonnaise and garlic in a bowl to make the roasted red pepper aioli. 4. Combine the 3/4 of the roasted red pepper aioli with the chopped chicken and celery. 5. 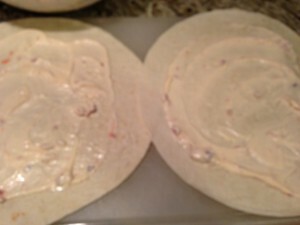 Spread some of the remaining roasted red pepper aioli on the two flour tortillas. 8. Divide the arugula between the tortillas. 7. 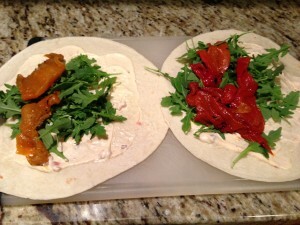 Place the two remaining roasted red peppers on top of the arugula on each of the tortillas. 6. 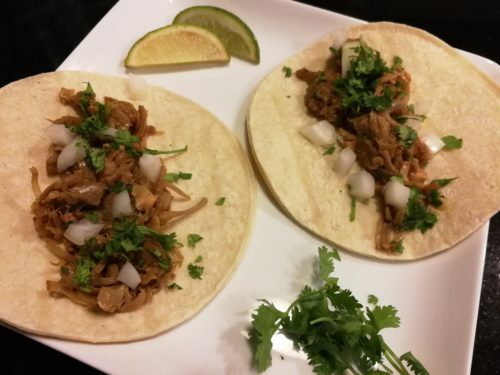 Divide the chicken mixture between the tortillas. 9. Fold in the edges of each tortilla and roll them up. 9. 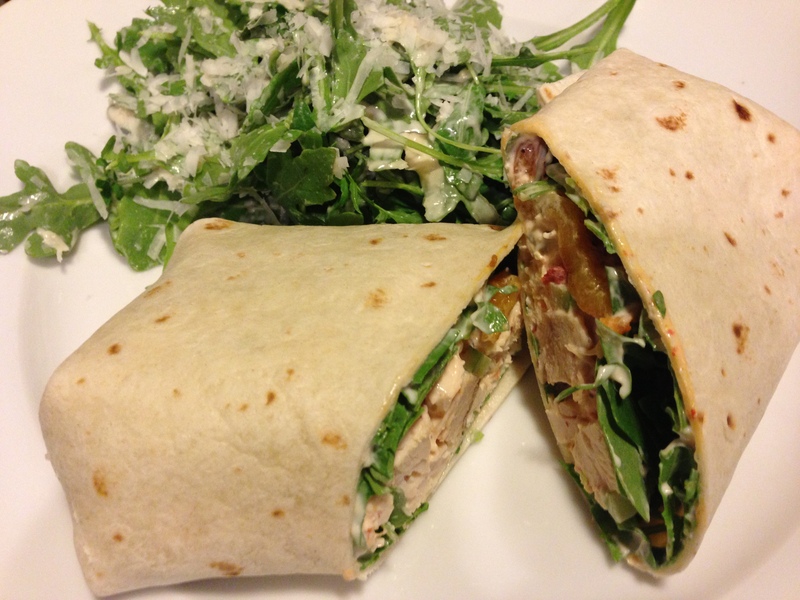 Cut each wrap in half and serve! Serves 2. Serve with a side salad, fresh fruit or your favorite potato chips. 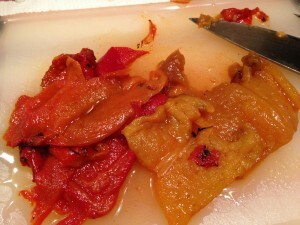 Variations: Use a flavored tortilla such as a roasted red pepper tortilla. 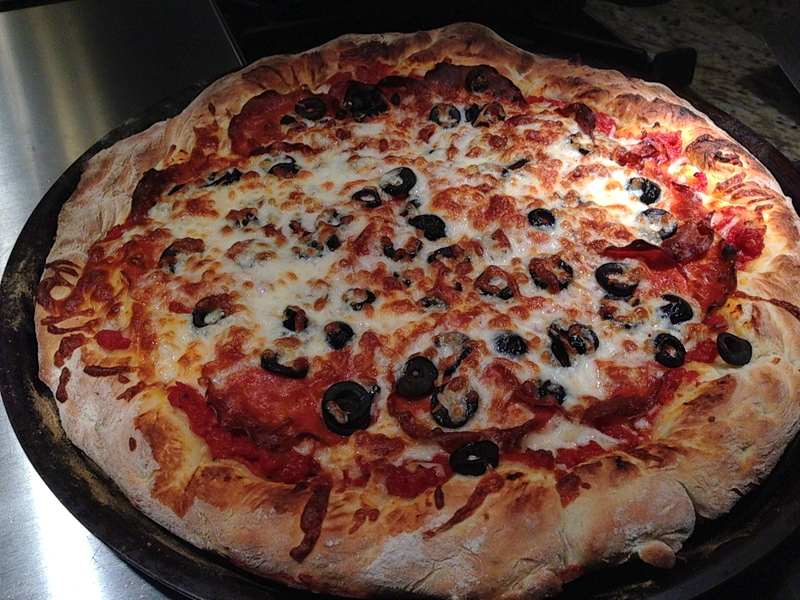 Try it with a whole wheat tortilla. To lighten this recipe, use light mayonnaise and cut back on the amount. 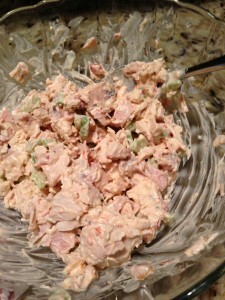 Instead of making a wrap, you can serve this smoked chicken salad on regular sliced bread or a toasted bun or as a main course salad on a bed of arugula or lettuce.